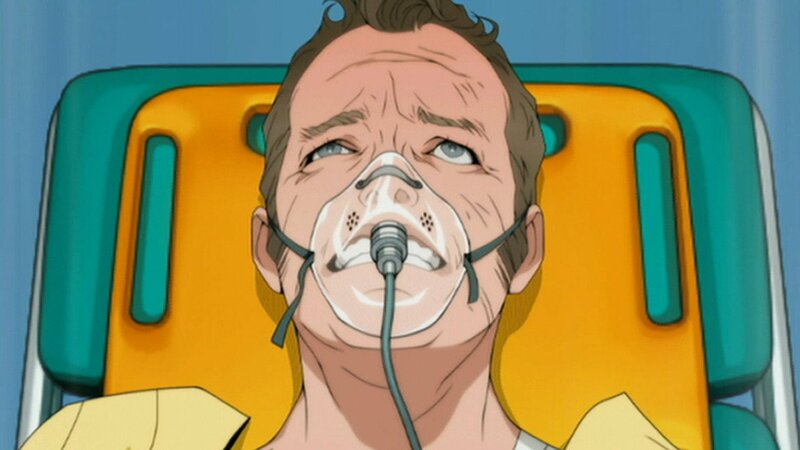 If you’re familiar with Trauma Center, then you’ll know what to expect from Trauma Team, because it’s basically more of the same. Atlus’ latest Wii offering is another medical simulator that puts the lives of patients in the player’s hands. If you’re not familiar with the series, now is the time to get acquainted. The unique mechanics provide a fantastic alternative to conventional gaming violence, making Trauma Team the perfect cure for action brawler burnout. The titular trauma team is composed of six specialists who each practice a different branch of medicine. Surgery is lifted intact from previous Trauma games, with the Wiimote still standing in for the scalpel, syringe, sutures, and scissors, as an all-in-one miracle medical tool. New operational additions include endoscopy, first response, and orthopedics, while diagnostics and forensics offer more cerebral investigative options. The multifaceted team atmosphere makes for an incredibly immersive experience. You’ll be amazed at how easily a fifteen-minute procedure becomes a four-hour doctoral extravaganza. Trauma Team is set in a hospital, so operations take up the majority of your gameplay time. Each specialty utilizes the same motion control skill set, but the different modes explore a satisfying array of gameplay possibilities. The fast-paced procedures are challenging enough to test the reflexes of any veteran gamer, with the first response missions being particularly rewarding. You’ll frantically juggle treatments for multiple patients, keeping an eye on the vitals of a burn victim even while administering CPR to a child in cardiac arrest. Endoscopy and orthopedics aren’t quite as intense, but they help round out the team and add some welcome variety to the proceedings. The cartoonish story is almost as much fun as the gameplay. Like a comic book, the plot is revealed through single panels and thought balloons instead of cut scenes. The voice acting is serviceable and the colorful style never takes itself seriously enough to offend those with cynical sensibilities. The game nimbly toes the line between grim surgical poignancy and silly Saturday morning TV show with plenty of genuinely funny moments to lighten the hospital mood. A few of the expository segments run a tad too long, but it doesn’t matter because they’re optional viewing. Those merely looking for some hands-on ER experience are able to jump right into the action, while those who want to enjoy the game at a more leisurely pace will appreciate the campy drama. The eclectic cast of characters adds to the humorous charm, as the doctor roster includes a Baywatch lifeguard, a superhero, a ninja, a corpse whisperer, and Hannibal Lecter. They’re all impossibly idealistic and slightly one-dimensional, but they are neither blindly naïve nor childishly unrealistic. Everything is so disarmingly sincere that you’ll find yourself absorbed in the fate of the team, allowing the consistent characterization to stand out as one of the strengths of the release. Meanwhile, the arbitrary diagnostics puzzles stand out as one of the weaknesses. Along with forensics, diagnostics introduces some new gameplay elements that miss as often as they hit. With a cigarette constantly dangling out of the corner of his mouth, the diagnostician is a thinly veiled homage to House. Unfortunately, Hugh Laurie’s unique brand of genius is not nearly as endearing after it’s been watered down for console accessibility. Diagnostics are fun when you’re getting things right, and the clues are usually straightforward enough to allow for rapid progression. It’s just far too common to run into an obstacle that can’t be surmounted without an Internet connection and game faqs. Every time you’re stuck, diagnostics degenerates into a blind guessing game that puts more strain on your patience than it does on your intelligence. Low graphical resolution can make it difficult to identify abnormalities, while gratuitous game over screens further punish the player for artificial incompetence. You won’t be able to move forward until you find one infuriatingly imperceptible symptom that is always forehead-slappingly obvious after ten minutes of aggravated searching. Fortunately, game faqs are everywhere, so industrious gamers won’t remain stuck for very long. Even so, the design execution could have been much better. Simply adding a zoom feature would have eliminated the problems with imprecise imaging, and the issues are doubly inexplicable given that the same elements are better implemented elsewhere on the disc. The forensics crime scenes are more open-ended than patient examinations, making the CSI-style investigations far less frustrating than diagnostics. The mysterious cases are imperfect, but they do add significant narrative intrigue to the game. 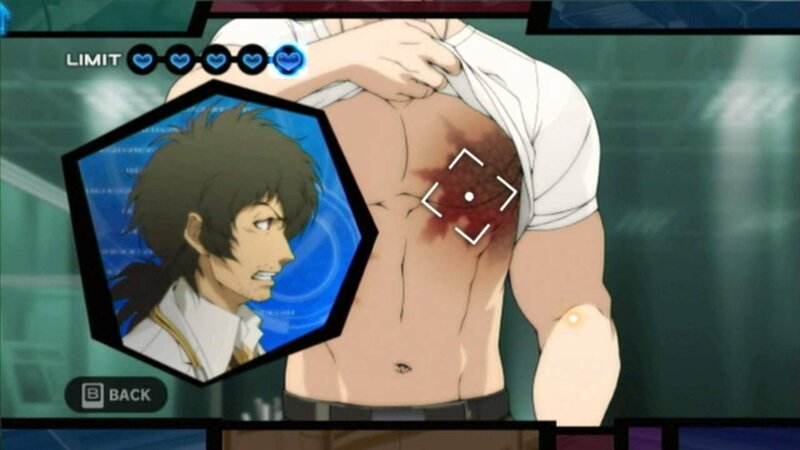 Forensics shows that Atlus’ ideas have potential, so I won’t criticize the developers for trying something new. Still, it will be interesting to see if future Trauma games are able to work out the existing mechanical kinks. Despite being a gimmicky Wii game, Trauma Team is not for the entire family. There’s some mild teenage profanity and surgery, murder, and bloodshed, are heavily represented in the subject matter. You may be saving lives instead of taking them, but parents may not want young children playing a game in which victims are routinely impaled with I-beams and shards of glass. Trauma Team is as easy to pick up and play as any Wii title, and the adjustable difficulty settings make it fun for gamers of all experience levels. It’s also as enjoyable in short bursts as it is during extended gaming marathons, so the deep story and reasonable price tag make it a great value purchase with many hours of solid content. 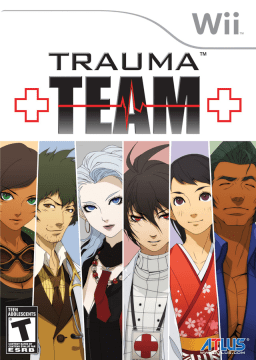 I’ll still be playing Trauma Team after finishing this Review, and that’s more than enough to give the game a wholehearted recommendation. You may be saving lives instead of taking them, but parents may not want young children playing a game in which victims are routinely impaled with I-beams and shards of glass.